I discovered hat my task number usually starts from 1 instead of 0. I will show the Solution using MS PROJECT 2016. 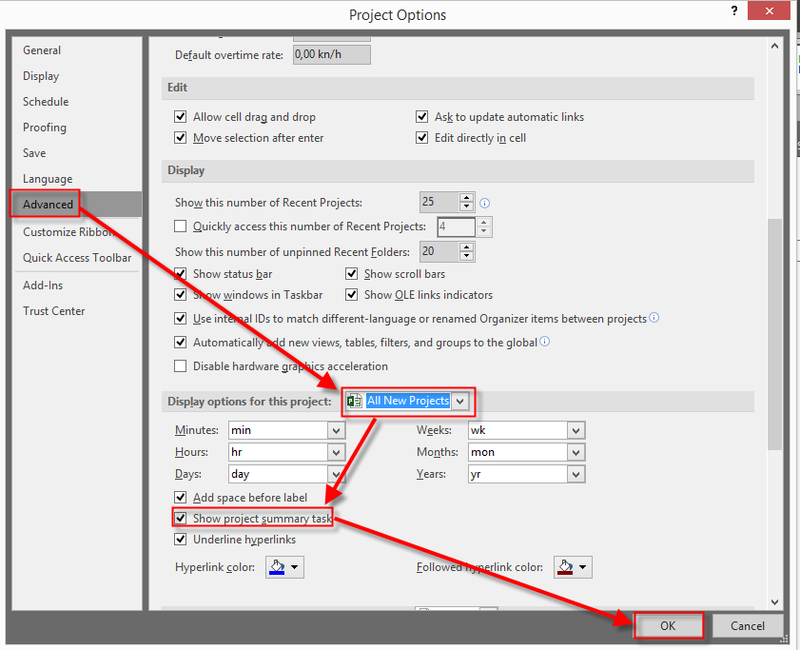 With that option you will always have Task 0 displayed when you open new Project. And, remember, keep this option, always on! This entry was posted in MICROSOFT PROJECT, Microsoft Project 2013, Micsrosoft Project 2016, MS PROJECT 2010, MS PROJECT 2016, PMI, PRoject Management and tagged MS PROJECT 2016 - Tasks. Bookmark the permalink. Iâm sorry if I bother you. How to set âDeadlineâ become automatic? For example dateline is equal to Finish date plus 5 days. What do you mean by Deadline? Did you mean deadline indicator? Nenad, in my previous post I talked about some tasks starting later than anticipated. After posting I decided to add a new task in that section and it acquired the same bad start date with no information added. I then noticed the summary task had that same start date. I then noticed that summary task was manually scheduled (we had overlooked looking at that) instead of Auto Scheduled. It was that attribute which caused the problem. That solved the issue. So I hope you did not put any time into solving it because we finally figured it out. Nenad, We have a task starting later than anticipated. We are using MS Project 2013. The task has a single predecessor and successor. The task has both Free Slack and Total Slack. There are no resources assigned. The Summary Tasks do not have constraints nor do they have Predecessors or Successors. If the task’s constraint is “As Early As Possible” it shows a start date of 6/3/16 (Predecessor finishes 3/4/16). If the constraint is changed to either “Start No Earlier Than” or “Finish No Later Than” (without putting in a date) it changes the start to 3/7/16 in both cases. The duration remains correct in all cases and does not change. Auto Calculate is set to ON throughout the project. “Show Scheduling Messages” is turned ON. We are scheduling from the Project’s Start Date (11/12/15). There is no Percent Complete set (Equals “0”). Actual Start shows “NA”. We are not using Resource Levelling (and do not have Resources assigned in any case). I cannot find the old “Task Delay” field to check that. 3/7/16 is a scheduled work day (that is the day we anticipate it should start given all our settings). Any clue? We have restarted MS Project. We have had several other Users open the file with the same problem. We have not corrupted the file by using it on SharePoint. The problem does not seem to be replicated elsewhere in the schedule.